Hello, many people have asked me what was this map that we can see on many screenshots. It is the test map made by Tarlak501 that we use to test our new units. It is not made for actual combat since the game can be completely stalled if you cut any of the bridges. If you installed it right, the map should be listed then as a 2 players map called "[NHC]Test". This map is compatible with other mods and the original game. Full credits for this map go to tarlak 7div 501 ab OKW (aka Tarlak501) our mapper. 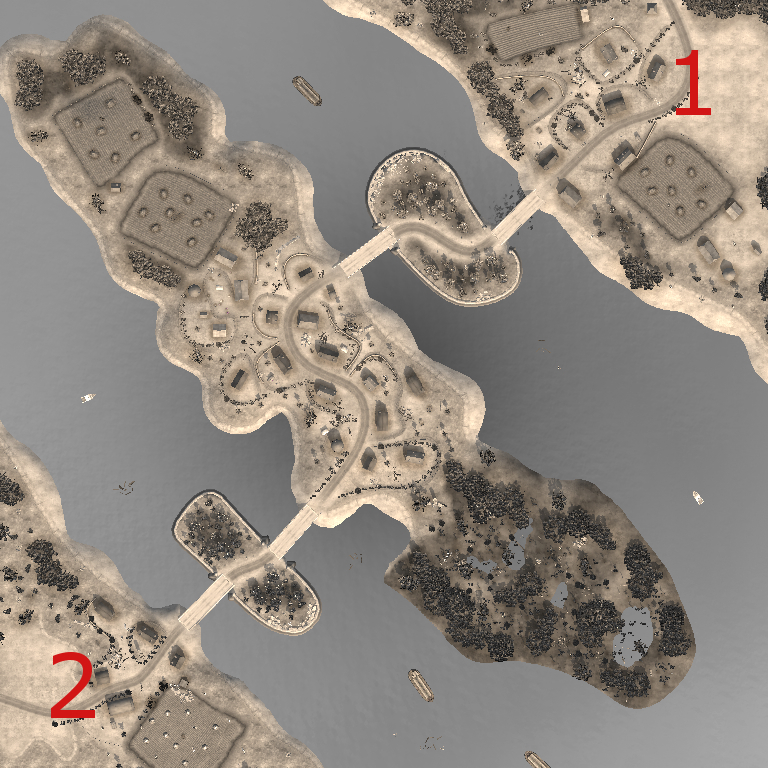 EDIT: This map is now included in the NHCmod v2.700b (https://www.moddb.com/mods/nhcmod/downloads/nhcmod-v2700b-steam-version-2602-compatible) . You can safely delete it to save space or keep it to play it in other mod. Just played this map, great fun! What do you mean "stalemate"? Aren't the bridges repairable? Of course they are but you can always easily kill the poor engineers or pioneers that are repairing them. Yes, i thought of that. So, from a strategical point of view you have to rush the enemy before he gets units like mortars or even artyllery out. It will be fun, I guess! How do you add this map to mods like Cheatmod? whenever i install it it never shows ups in the game, unless i play it on regular(no mods), im on the steam version. You would have to put it in their respective map folder. Its name depends on the mod. It is described in their .module file.